At lunch in Territorio Era I had just enjoyed a glass of the Tradición Fino and thought it would be a shame not to compare it to this big boned fino from Montilla Moriles. 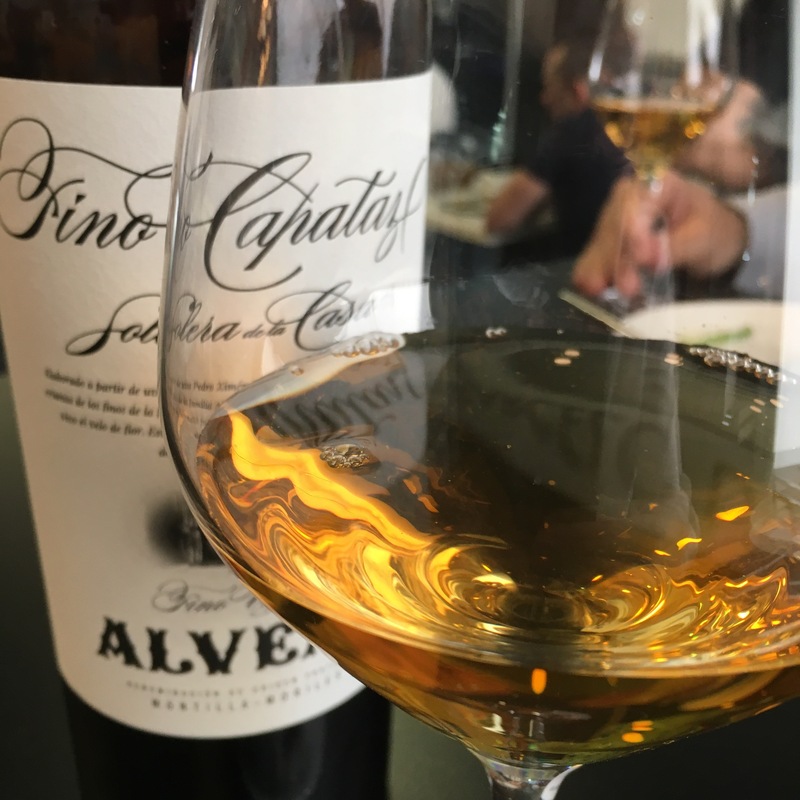 Two 10-12 year old finos from high quality bodegas, the big difference being the grape involved – here we have pedro ximenez compared to the palomino. You have to say it is a fantastic wine – real intense roast almond aromas and flavour, and volume but elegance too, with a nice zingy start and a long mouthwatering finish. Doesn’t have the bitter notes of the Tradición fino (although this is a year younger in the bottle) and in fact has a nice little caramel effect as the nuts give way to the minerals that makes the contrast even greater. One of the outstanding finos. .